• Anadarko Petroleum (NYSE:) stock surged 32.0% by 8:14 AM ET (12:14 GMT) after Chevron announced it would in cash and stock. 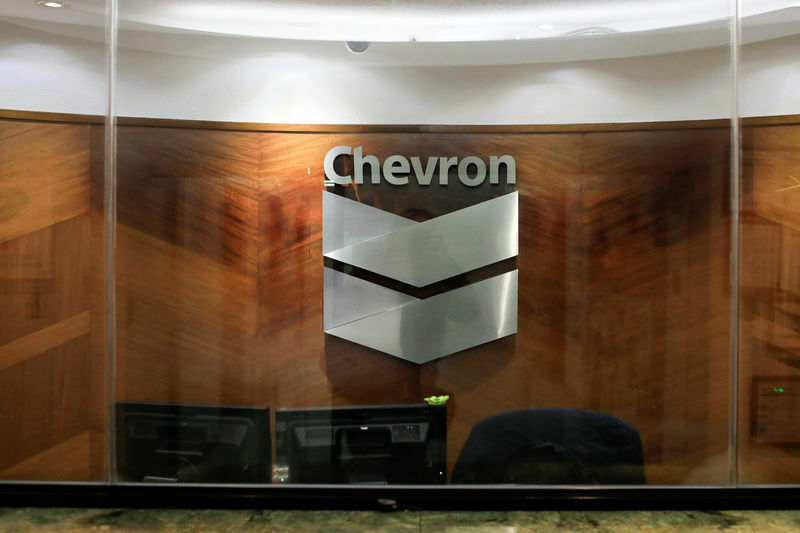 Shares in Chevron (NYSE:) were off 3.8%. • JP Morgan (NYSE:) stock jumped 2.8% after the company reported , beating . • Walt Disney (NYSE:) stock rose 3.3% after the company announced the for its new streaming service. It has priced its offer below Netflix’s (NASDAQ:) basic fee. Netflix shares fell 1.1% on the news. • Boeing (NYSE:) stock advanced 1.4% as Chief Executive Officer Dennis Muilenburg said that in 96 test flights. • Wells Fargo (NYSE:) stock traded up 2.1% as . • Tesla (NASDAQ:) stock gained 0.2% after the company said it has for a lower-priced version of its Model 3 car. • PNC Financial (NYSE:) stock inched up 0.1% as came in slightly above expectations and .